FXX has pulled the plug on Legit after two seasons. Tonight’s episode will also serve as the comedy’s series finale. Legit revolves around a fictional version of Australian stand-up comic Jim Jeffries who’s made it big on the comedy circuit in the US and now wants to grow up. His friends and Venice, CA roommates are his divorced and alcoholic best friend, Steve (Dan Bakkedahl), and Steve’s brother, Billy (DJ Qualls) who suffers from muscular dystrophy. Episodes are based on Jeffries’ stand-up routines. The series has struggled in the ratings, particularly once it moved from FX to FXX. As a result, the cable channel has decided they don’t want a third season. What do you think? Did you like Legit? Are you sorry that it’s been cancelled? Do you think it should have been renewed for a third season? I can’t believe I missed this show… I just binged watched the only two seasons in a day and a half. I can’t believe it was canceled. 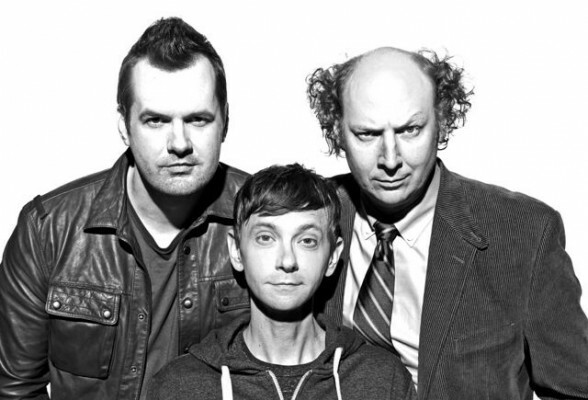 The cast is incredible and Jim Jefferies is hysterical. One of the best comedy series I’ve ever seen. What a shame. Hopefully if we’re lucky and we ***** enough they can bring it back for us? I doubt it but I’m going to still try. That’s bull****, it was a great show and it should continue! I love this show and watch it every night before bed, too funny!